The QR code that becomes obligatory for all veterinary pharma products in China from June 30, 2016 is presenting most pharmaceutical producers and flat carton manufacturers with unforeseen printing challenges. Given that the regulation governing vaccines already entered force on July 31, 2015, solutions need to be found all the more urgently. Depending on the printing technique, the footprint of the QR code can be as great as ten square centimetres. Atlantic Zeiser, the specialist for track & trace solutions, is now drawing attention to this specific problem. In order to accommodate all the necessary information with very good legibility, the maximum edge length of the QR code can be reduced to around 13 to 16 millimetres, but only if the image is produced with modern drop-on-demand inkjet technology. «In the overwhelming majority of cases, however, a cartridge-based thermal inkjet system is being used – explains Helmut Schneider, Group Product Manager Packaging at Atlantic Zeiser. – In order to match the print quality and readability achieved by DoD technology with cartridge technology, the edge length has to be more or less doubled». As a consequence, the code occupies four times as much space. In many cases, finding space has already proven difficult with the Chinese code for pharma products for human use (Code 128 C with 20 numeric characters). In view of the lack of space it has often been necessary to print the statutory code on the main body of the pack and a helper code for aggregation purposes on one of the end flaps. The height of Code 128 C could be modified to some extent so that printing with cartridge-based inkjet systems remained possible. “Printing QR codes with thermal inkjet techniques, however, is now sure to be at least challenging, if not impossible,” remarks Schneider. Even with relatively large flat cartons, existing design specifications severely restrict the space available for oversized codes. Since conventional thermal inkjet cartridges offer a print width of only 12.7 millimetres (1/2 inch), the task is made even more difficult. «Although it is technically possible to assemble an array of cartridges, a stitching effect, a white stitching gap or overlapping, inevitably occurs along the ‘seam’» explains Schneider. – Even with the robust QR codes, this stitching significantly increases the risk of illegibility». DIGILINE Single and DIGILINE Compact, the two printing systems recently introduced by Atlantic Zeiser, are based on DoD technology. Equipped with an OMEGA UV inkjet printer, which is known for its outstanding print quality on cardboard packaging, both systems deliver deep black, high-contrast codes. The ink puts an end to short de-capping time and greyish tones – both defects are a constant source of complaints with cartridge-based inkjet systems. Furthermore, the special UV ink is highly resistant to water, alcohol and other solvents. Accidental smearing of the codes after printing and fading in sunlight are thus ruled out. The available print width of 36 mm (without any stitching) is ideal for this type of application. Considering that the veterinary code for China contains neither an expiry date nor a batch number, Helmut Schneider has further good news for flat carton manufacturers and pharmaceutical producers: «It allows flat carton boxes to be printed very efficiently before the packaging process. The ability to build up an inventory enables carton manufacturers to apply the codes in much the same way as in the case of medicinal products for human use». The Pharmaceutical and Packaging Solutions division of Atlantic Zeiser ranks among the leading suppliers of sophisticated individualization, serialization and track & trace solutions that efficiently and seamlessly monitor product movements, securely verify authenticity, and reliably protect against counterfeiters. Innovative digital printing uses drop-on-demand technology to create superior-quality labelling, coding and marking solutions – from primary packaging to late-stage customising in the pack printing segment. 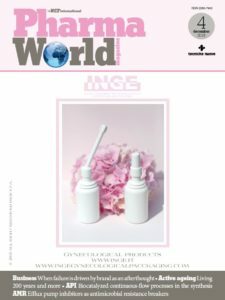 Specifically for the pharmaceutical and cosmetic sectors, the division develops tailored systems to facilitate the reliable, legally compliant, cost-efficient and fast application of unique security features to individual and mass products. Atlantic Zeiser’s track & trace systems bring together the latest machine and printing technologies with intelligent and fully compatible software architecture. The company addresses the particular needs of the pharmaceutical industry with its MEDTRACKER serialization solution, and offers BRANDTRACKER to support the sophisticated brand protection endeavours of the cosmetic segment. Atlantic Zeiser’s other division is Security Printing Systems, which supplies not only systems for personalizing ID cards, banking and credit cards, as well as gift and other customer loyalty cards, but also solutions for numbering banknotes in any currency, and serializing passports. Atlantic Zeiser has its head office in Emmingen in the German state of Baden-Württemberg, and oversees nine facilities worldwide as well as sales and service partners in around 50 countries.